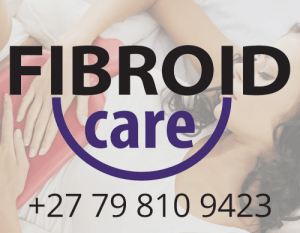 About Uterine Fibroids in Southern Africa. At Fibroid Care, our goal is to not only treat but to raise awareness and help people to learn more about uterine fibroids in Africa. Due to the relatively new nature, many gynaecologists are not familiar with this new treatment for symptomatic uterine fibroids. The video below is designed to give you a summary of how we treat symptomatic uterine fibroids with embolization. It demonstrates the minimally invasive nature of the procedure and how it can be selected as an alternative to surgery. It is important to learn more about treating fibroids and the treatment options available to treat them. Medical Treatment – There are several drugs that are used to manage fibroids and while they offer relief to some, a more definitive therapy is needed. Surgical Treatment – Your two main surgical treatment options – hysterectomy and myomectomy. These procedures can have significant morbidity and possible loss of fertility. Radiologic Treatment – The use of uterine artery embolization, the advantage of this procedure is that it is non-surgical. Patients have very little recovery time and there is approximately 90% success rate. Read more here. Fibroid Care would be happy to work with you and your doctor to make this decision together. If you have any further questions, feel free to contact us. Access to the arteries supplying the fibroids in the uterus is acquired by means of wires and catheters (small flexible tubes) which are inserted through a small hole in the artery of the groin (femoral artery) or artery in the wrist (transradial approach for uterine fibroid embolisation). The position of the correct artery supplying the fibroids is located by injecting an iodine based solution which maps out the arteries. These images are then used as a map for the radiologist to gain access to the uterine arteries.